The world can’t seem to get enough of Netflix’s most recent binge-worthy series, Stranger Things. And even if you haven’t seen the show, you can at the very least appreciate the awesome-’80s-goodness in all the promotional artwork. 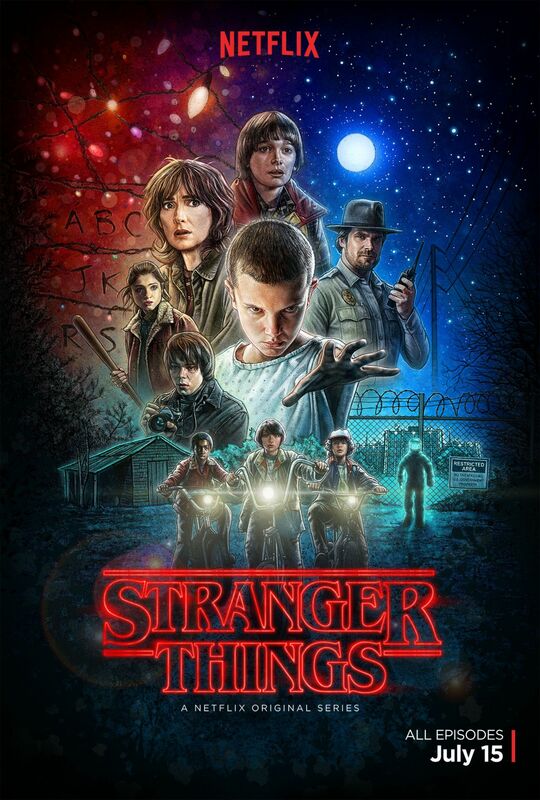 And at the center of this beautiful poster, is the character “Eleven.” Without giving too much away, just know that she (yes, that is a girl – which many characters seem to be confused about on the show) is a powerful being and an integral part of the series. 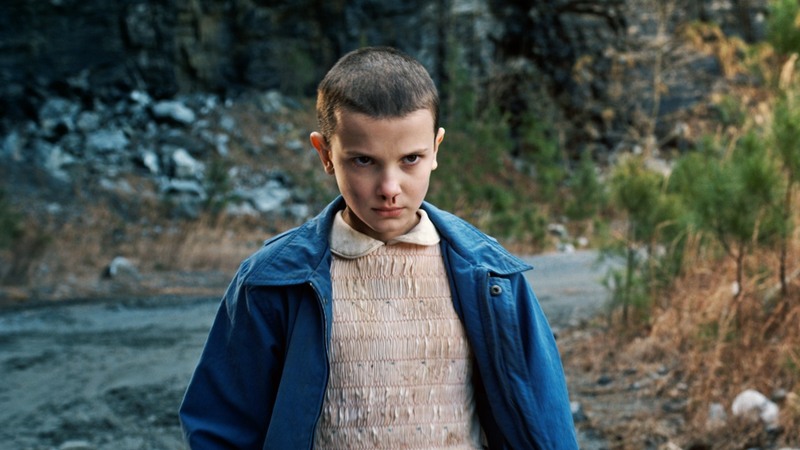 She also happens to be played by talented young actor Millie Bobby Brown. 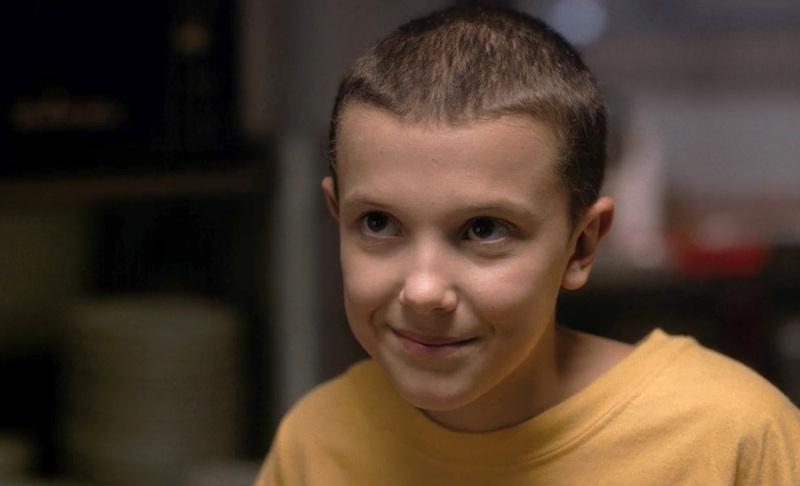 On the show Brown (Eleven) has a, now iconic, shaved head. And because Brown is so talented and believable in this amazing role, when we saw her IRL, we almost didn’t recognize her! Here’s Brown just off-set and looking as fierce as ever in real life. You can see her hair is currently going through an adorable Audrey Hepburn-esque phase as it grows back from her badass shaved head look on the show. And here’s what Brown’s hair looked like when it was even longer! Keep your eye out for this star on-the-rise, because Millie Bobby Brown will be a name you hear A LOT more of in the future!